What really happened at school today? ​Please enjoy our January ACSSO News. "The fact that almost all of Australia’s schools receive funding that is less than this standard, from both the Federal and State and Territory governments, is a blight on our children’s future." For many of us the summer is flashing by and before we know it our children are starting the new school year with what appears to be so much time ahead of us. For me, looking back on the year that was it seems like the previous January was just a moment ago. And yet in that time so much has happened – or is it just that I’m getting older and time passes ever quicker..? In all the haste of family life, together with all the logistics and busyness that comes with the start of the school year, it’s vitally important to remember and appreciate that we as parents are the intial and ongoing educators of our children. Schools are vital partners with parents and the community in establishing a strong foundation for our children’s future opportunities in life. When considering this partnership it’s salutary to reflect that over 80% of a child’s time in any one year is spent out of school and with their families and community. There are a growing number of initiatives that are designed to support these learning partnerships. A couple that have recently been updated are the free Learning Potential app – designed to give tailored tips and advice to parents – available here, and ELLA (Early Learning Languages Australia). The best of these support the focus of the Australian Curriculum that defines what our children should be learning in school, and act as a teacher’s reference for all the hopefully glowing reports to come. There is a well-hidden resource for parents that gives a clear and straightforward explanation of what our children will be taught in the year ahead. It’s on the Australian Curriculum website via this link to downloadable PDFs and well worth a look. If your school has a communication app then these PDFs can be easily incorporated within it. As parents it can provide real insight into what our teachers are teaching and allow us to engage with our child’s teachers in a truly informed and authentic way. Our nation’s public schools offer fully inclusive learning environments with highly trained professional educators that can see our children flourish. To do this to the best of their abilities schools and the staff teams require resources. Therein lies the highly complex and wicked problem that is education funding in Australia; a nation that is in reality a federation of independent nation states and territories – each with its own interests and agenda in the schools funding debate. The Council of Australian Government’s (COAG) Education Council, with representatives of each state and territory, is tasked with engaging with the Federal government to resolve the post 2018 funding agreements for public education; work that appears to have gone quiet over the Christmas break. ACSSO’s resolve to see Fair, Simple and Transparent, and truly needs based funding for education is as strong as ever. The Federal government has a crucial role in leading the debate to ensure that every child has the same opportunity to thrive in our education system - regardless of their family circumstances. The foundation that underpins this ability to thrive is the measure known as the School Resource Standard (SRS) - a level of combined funding per student that is calculated to provide a suitable standard of education provision. The fact that almost all of Australia’s schools receive funding that is less than this standard, from both the Federal and State and Territory governments, is a blight on our children’s future. This must be a major point of consideration in the COAG Education Council deliberations. The formula that produces the SRS has itself been called into question. Whilst it is appropriate to explore the nature of this it cannot be allowed to inhibit the consensus that must prevail in ensuring an appropriate level of funding for our public schools – all of them. As part of the 2013 Education Act SRS formula there are a number of additional loadings to address specific challenges and disadvantage faced by students. These loadings have increased the federal contribution to education at a state and territory level and possibly added to the claims of record levels of education funding that has attracted the Government’s attention. Within all of this is the implicit expectation that every cent of Federal money destined for public schools makes its way through the school gates. In reality this is often not the case and has to change – our schools deserve every cent that’s due to them. Nothing more, nothing less. The consequence of funding and resourcing shortfalls is a growing need to rely on parent and community contributions. Levies and fees have long been a part of the new school year and could be said to be an example of parents having to fund an under-resourced schooling system. The loss of the ‘school kids bonus’ has hit hard for many at a time of year when there are greater demands on family resources – especially in communities with low incomes where education can be a critical pathway out of poverty. The recent move to bring your own device (BYOD) policies in schools exacerbates the potential for unfairness in the opportunity to access essential resources. With the coming of NAPLAN online, over the next few years, access to suitable technology will be an important and ongoing issue to consider. One of the strengths of the ‘school kids bonus’ was the fact that it was allocated without having to go through an application process with the school or a third party in the immediate community. It offered a certain dignity in its distribution. The Smith Family’s Learning for Life scholarship programmes offer a similar level of dignified and targeted support for the less advantaged students in our community. The scholarship does require an overt application process that many families will find undesirable and choose not to engage with for that very reason. However, with a $48m allocation by the Government from the last budget and linked in with private sponsorship contributions, it looks like these programmes are here to stay. It’s currently working with over 33,000 students and looking to work with an additional 24,000 students and their families over the next four years. For more information click here. Whist public education undeniably faces some unique challenges with its open to all policy it also has unique strengths. Every public school naturally reflects the character and strengths of the communities in which they are sited and as such offer tailored specialist teaching support for all abilities – for those that need extra help and those that need extra challenge. It’s this diversity without fear or favour that truly reflects the authentic demographics of our nation and does not pander to an out of date vision of what might have been, or subject to an exclusive dogma. Public schools thrive on parent and community partnerships, and we as parents have the provenance and authenticity to actively engage with our children’s schools and the professional educators within them. Make the time to engage with your child’s teachers – they wouldn’t be in the job if they didn’t care about education and they get to see a unique side of our children in a truly objective way. That little bit of information you learn from them, or that you share, could make all the difference. The conversations we have with our child’s teacher can be one of the most powerful tools in ensuring great outcomes. The Government has released names for a panel of experts who will oversee the staged implementation of a nation-wide phonics assessment and numeracy check for Australian schools. Short assessments set in Year 1 students' for literacy and numeracy skills may provide early identification of those students who are behind so they can be targeted with interventions before their achievement gap grows. So, what did you get up to today? When the question, 'What did you do at school today?”, is asked many children respond with a similar answer - 'nothing' or 'I don’t know'. Below is a list of open questions to share with your school community that are designed to increase the likehood of an extended answer. Families who use these kinds of questions often find the answers lead to further discussions and helps to connect learning experiences from school to home. You can download a copy as a mini-poster from the ACSSO website. With the start of the 2017 school year upon us, it is good time to explore family engagement in learning. Family engagement in learning consists of two areas: Family-School Partnerships and Family Led Learning. Applications for ELLA 2017 are now open! New languages in 2017: Italian and Spanish! Join the ELLA program in 2017 to give your preschoolers a head start in learning a new language! ELLA play-based apps are engaging and fun. They help educators and children to learn together. Support payments of $500 are available for the first 1000 eligible preschools located in schools facing challenges of disadvantage. Head to the ELLA website for more information. The Learning potential website and app helps parents to be more engaged in their child's learning, from the highchair to high school. As this newsletter is being delivered, Queensland schools are in their second week of term while WA and Tasmanian schools are still on holidays. Meanwhile NSW, Victoria, South Australia, ACT and the Northern Territory are all in Week 1 for students. Keep tabs on all of Australia's school term dates here. The ABC has launched a new module on the ABC News website to aggregate all its Back to School content in the one place with new stories updated regularly. The project will run until February 12. The first week’s output focuses on sleep, starting school, the perfect lunch box, the introduction of coding classes in schools and the positives of offloading your kids for several hours a day via comedian Alan Brough. The hashtag for the project is: #backtoschoolabc. But it doesn't stop there! Here's just a sample of the programming for schools, parents and children. ABC has partnered with Smiling Mind to record a series of guided meditations aimed for parents, teachers and students. 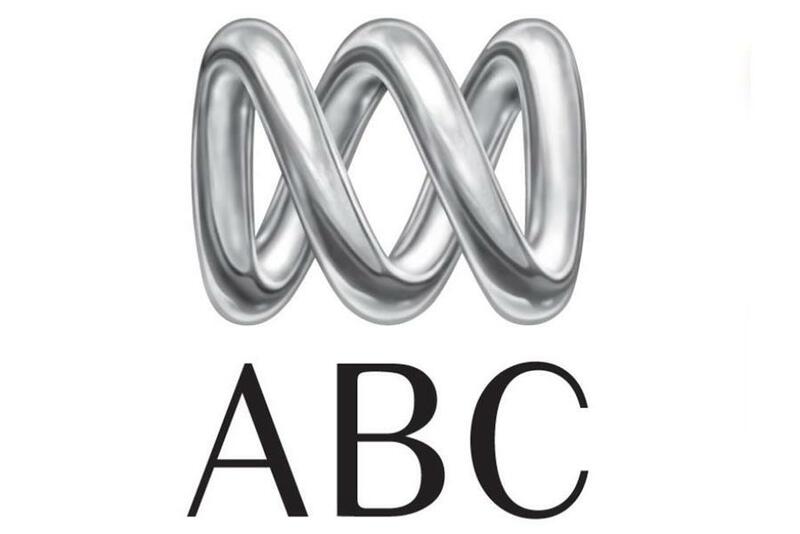 These will be played by a number of ABC Local Radio stations and Radio National and also be made available on the web. There will also be a web story to accompany the launch of this in early February. ABC RN’s Life Matters show will have a panel discussion helping parents who have teenagers experiencing mental health issues and looking at a world first trial helping chronic school refusers get back into the classroom. ABC Me are running a great competition where their presenters could turn up at your school if you submit the best ‘hack to school’ tip and they’re also preparing to launch a powerful documentary series on February 20 called My Year 12 life. How best to manage a return to school if your child or their classmates suffer from allergies. In December of last year the ABC launched the Short and Curly show. It’s a great ethics podcast made specifically for children and their parents.